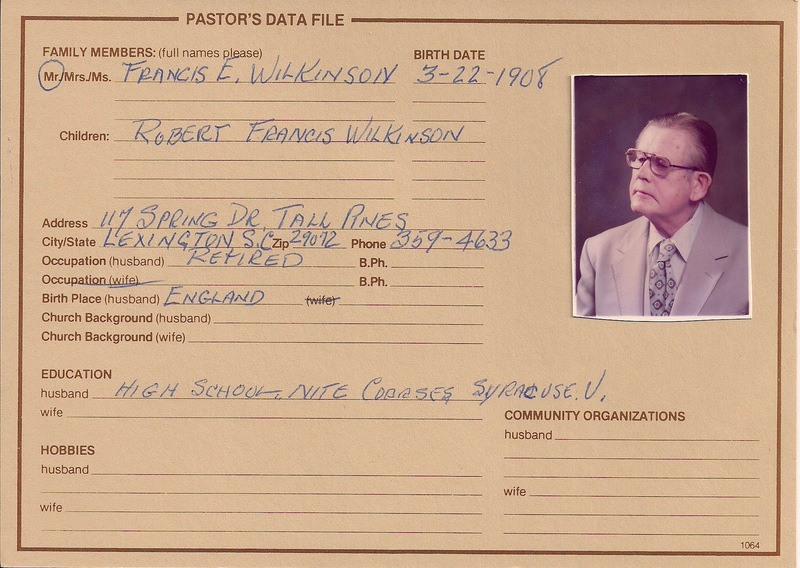 Here is Frank Wilkinson’s contact card from St. Stephen’s Lutheran Church. Not sure why this got kept. But I scanned it and posted it here. This would have been some time in the early to mid 1980’s while he was living in Lexington, SC between the time that his wife died (1982) and he died (1986).